The BMW 3 Series basically originated the idea of the modern sport sedan. That’s why it’s had three pedals since the beginning, even as the market for manual gearboxes has been on the decline. But today, the Bavarian automaker introduced the new seventh-generation 2019 3 Series with one glaring omission: a third pedal on U.S. spec models. Has BMW’s iconic driver’s car—one of the final hold-outs in its class—finally given up on the stick? At least for now, and at least in America, the answer appears to be yes. In BMW’s 3 Series press release for the new U.S. market G20 generation, there’s not a single mention of a manual transmission. 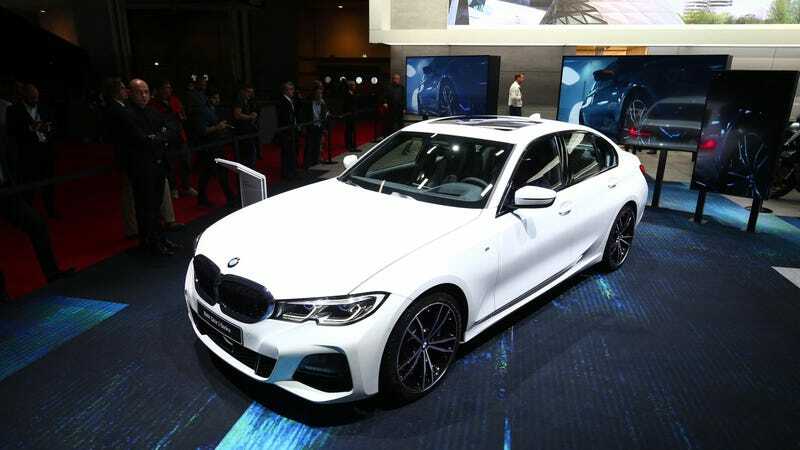 Instead, the release focuses on the new eight-speed Sport Steptronic automatic which is standard on the 255 horepower 2.0-liter 330i and 330i xDrive, as well as the 382 horsepower inline-six M340i—the only three models discussed aside from a brief mention of a hybrid 2020 330e model (which I’m sure is fair to assume will not get a stick). We would not be able to speculate on what transmission/engine options may be planned for the future. This, I’m sure you’ll all agree, is troubling, as the 3 Series has long been the benchmark sport sedan, the affordable-ish practical performance car in BMW’s lineup. And while that title has arguably been snagged by the 2 Series, BMW’s best selling car—the legendary 3 Series—holding onto its stick shift gave enthusiasts hope that maybe at least one automaker had not given up on the joy of driving with all four limbs. I’m sure the new 3 Series is better in a lot of ways, but the lack of a manual from the outset is troubling. And it feels like this is gateway to open season on manuals for every other sport sedan. After all, if BMW can’t be bothered, why should anyone else? Anyway, that sport automatic—which is GPS-controlled like the trans in the 7 Series—apparently gets a wider gear spread than before, is more efficient, and doesn’t vibrate as much as its predecessor. Plus, the shorter low gear ratios apparently improve acceleration, and the new trans promises shorter shift times. That’s all well and good. But if there’s no 3 Series stick—other than the M3, which I wouldn’t be surprised to find out will get one—then this may be a major blow to the manual trans in the U.S. Hopefully one comes later.